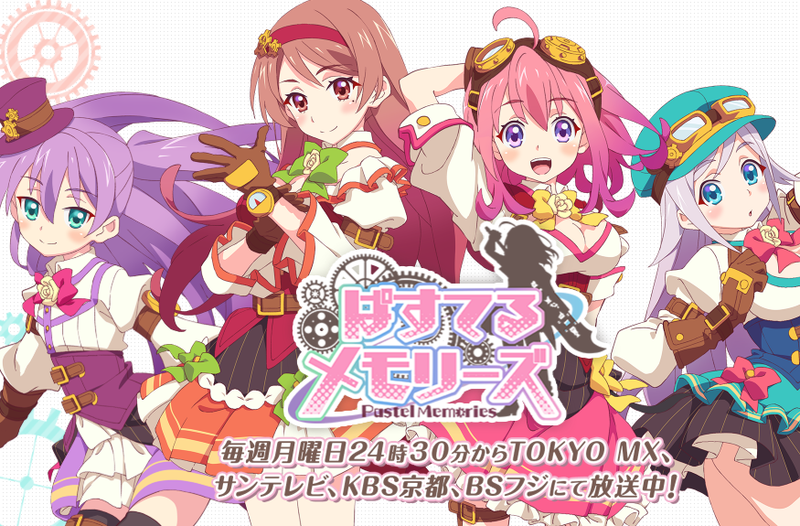 Streaming for anime Pastel Memories has temporarily been halted and DVD and Blu-ray releases of the show’s first three episodes have been cancelled. The reason, it seems, could be related to how the show parodies another anime. As announced on the show’s official site (via ANN), the official statement apologizes for the trouble caused by this. A corrected version of the first episode will resume streaming from March 26, and at that time, the second episode will cease streaming. When it will return is still TBA. As mentioned above, the show’s planned Blu-ray and DVD releases of the first three episodes have also been canned. The Blu-ray box set will be out later this summer. According to ANN, the reason for all this might be because the show parodied the slice of life anime Is the Order a Rabbit? ANN points out that Japanese copyright law doesn’t have parody exemptions like the U.S., which is why in 2015, the anime Mr. Osomatsu, which had numerous parody scenes, was also pulled. Pastel Memories has been streaming on Crunchyroll, while Sentai Filmworks has the rights for the home release.